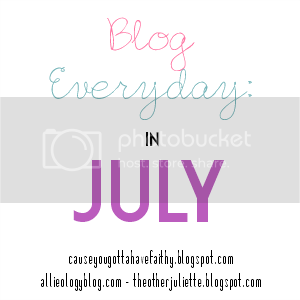 Today I'm joining in the Blog Every Day in July challenge. Full disclosure I have 0 intentions of blogging everyday this month, but a lot of these topics are really fun and I do plan to participate when I feel like it. So today's topic is guilty pleasures. I'm gonna be honest and say that I don't have a ton of guilty pleasures for the sole reason that I don't feel bad about how much I enjoy certain things. For instance, there are few things in life that bring me as much joy as chips and queso with a a big ole frozen margarita. But do I feel even slightly embarrassed by this? That would be a big fat NOPE. The same thing goes for my obsession with Ole Miss and the excitement I feel while online shopping. These are certainly pleasures but they aren't guilty. So after much thought I finally came up with 5 guilty pleasures I'm maybe just a little bit embarrassed by. 1. Miley Cyrus - I love Miley but for some reason a ton of people don't. But you know what, they're all wrong because some times you just need to belt out some Miley to get through the day. 3. Fox News and CNN - I watch way more news than your normal 22. l like to pretend it's because I have a degree in journalism, but if I'm being honest my obsession started long before I even thought about taking a journalism class. And because I like getting the entire story and not just one side I like watching both channels. 4. Harry Potter marathons - Okay let's get one thing straight, Harry Potter is not a guilty pleasure. If you think a love of HP is wrong than I just don't think we can be friends. What is a guilty pleasure is how often I partake in movie marathons. If I see one of these movies is on tv I literally can't not watch it. 5. my snuggie - I got one from my parents as a joke a few years ago for Christmas and I'd be lying if I said its not one of the best gifts I've ever gotten. I use it almost daily, and usually blame it on the fact that "I couldn't find any normal blankets" But this is always a lie, there are always plenty of normal blankets, just none I love as much as my snuggie. Okay so there are my 5 guilty pleasures. What are yours? Nothing wrong with a snuggie. I'm addicted to my electric blanket, personally. Chocolate covered gummy bears?! How and where do I get these?? ?